TWO NIGHTS located on pristine shores of Flathead Lake, just a short walk from quaint downtown Bigfork which has art galleries, fine dining, theatre, and endless outdoor activities. Your Waterfront room has two queen beds, with a sitting area, TV, table, chair, double sinks, mini fridge and coffee maker. 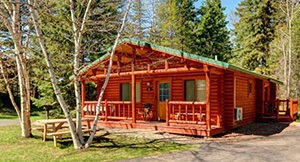 Your private balcony has excellent views of Bigfork Bay. Full service resort amenities include wi-fi, outdoor pool, hot tubs, full service marina, pool side tiki bar, piano lounge and sports grill. 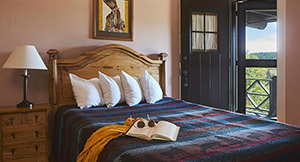 TWO NIGHTS in East Glacier Park at a magnificent hotel built in 1912, steeped in history and culture, nestled at the foot of Squaw Peak Mountain, on the eastern edge of Glacier NP, close to Two Medicine. 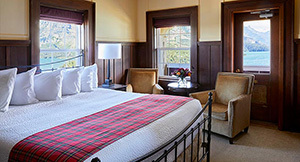 We will reserve a unique room in the main lodge, overlooking the lobby which is supported by 40′ Douglas Fir pillars and is generally a busy area. Your room will have two queen beds, private bath and basic amenities. The Lodge features the Dining Room, Empire Bar, Empire Cafe Espresso Stand, gift shop featuring local Blackfeet crafts, an outdoor swimming pool, a nine-hole golf course, a nine-hole pitch ‘n putt course, and Day Spa. 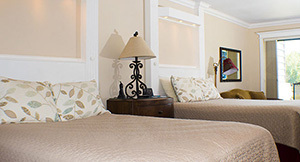 Check-in to a Northern Room with two queen beds, private bath and balcony. In the Great Northern wing rooms are more quiet and spacious. 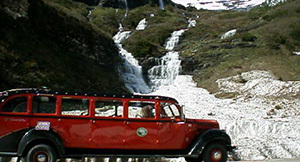 Will take you back in time while you view the sites of Glacier National Park in style on one of the historic red buses. Wind your way through fir and aspen forests into Glacier National Park and the Two Medicine Valley. Stroll the short optional trail to Running Eagle Falls and continue on to Middle Two Medicine Lake and Glacier’s “secret valley.” From there, enjoy an included boat cruise along the base of one of Glacier’s largest mountains, Rising Wolf. Visit the historic Two Medicine Campstore, site of one of President F. D. Roosevelt’s “fireside chats,” before continuing your journey alongside one of the oldest roads in the world, The Old North Trail. Then it is back to East Glacier through the Blackfeet Reservation with unparalleled views of the famed front range of the Rockies and the Lewis Over-thrust. 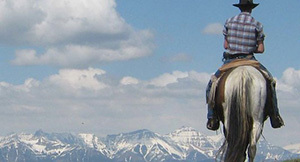 Allows you to view some of the most spectacular mountain scenery the Rocky Mountains have to offer. View majestic towering cliffs, unique geological formations, beautiful waterfalls, snow clad mountain peaks and the International Border. Your boat will make photographic and wildlife stops. Bald eagle, bear, moose, deer, mountain sheep and mountain goats are often seen. 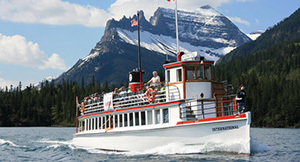 The duration of the cruise is a little over 2 hours and includes a stop at Goat Haunt – the northern gateway to Glacier National Park. This is truly an international experience for the memory books. Takes you side by side on high country trails with a stop mid way under tall shady pines for a delicious western cookout. Sit around a crackling campfire and enjoy triple A Alberta steak, baked beans, salad, rolls, and toast marshmallows over the fire. 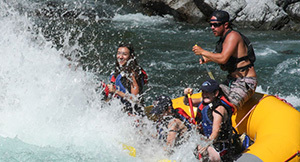 An unforgettable experience in the peaceful backcountry of Glacier Waterton Park. Ages 5 and up.